Marco has sealed one of its largest orders to date, with contractors on site at the new Alder Hey Children’s hospital in Liverpool. The £237m hospital, which will be known as Alder Hey Children’s Health Park, is expected to open its doors this year and will provide state of the art care and support for children from across the North West, as well as the rest of the country, setting the standard for child healthcare in the UK. Contractor Crown House has managed the complex installation programme specifying several thousand lengths of Marco’s Steel Wire Cable Tray for use across the vast facility. 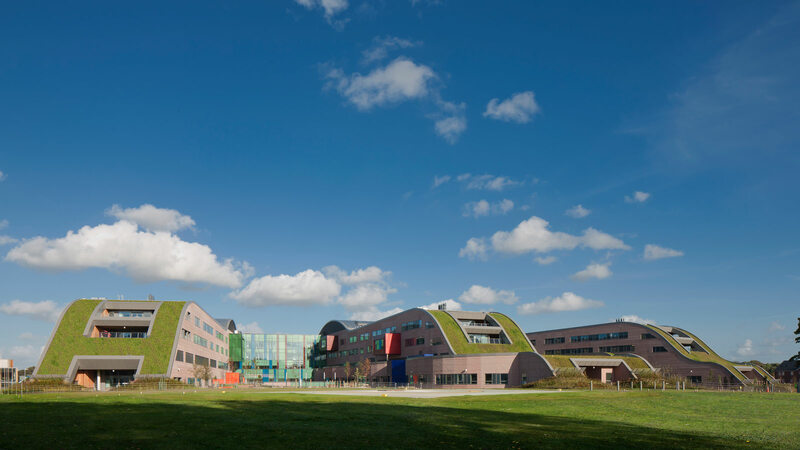 Alder Hey Children’s NHS Foundation Trust provides care for over 275,000 children and young people every year. Each year, approximately 60,000 children visit its A&E department (the busiest of its kind in the country) which over 30,000 attend as outpatients. The project is being built by a consortium comprising John Laing, Laing O’Rourke and Interserve and is set to be completed later this year. Contractor Laing O’Rourke Construction North Ltd won a Gold Award for the project at the Considerate Constructors Scheme’s 2015 National Site Awards.